here is hardly a week that goes by without someone asking me by email to appraise the toy trains that they own, or have inherited. There was a time when I used to endeavor to accommodate all of these appraisal requests. I simply cannot do this anymore. However, you can do your own appraisal. For those of you who have Lionel or American Flyer post war (S Gauge) trains please see below. Also, please note what I've mentioned at the top of this page. 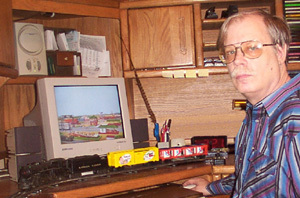 If your trains are made by a manufacture other than LIONEL or AMERICAN FLYER use the search box at the bottom of either of the above listed pages to search Amazon.com for the price guide that you are looking for.